The days are getting cooler, the cicadas are dying off, and it's totally time to party! 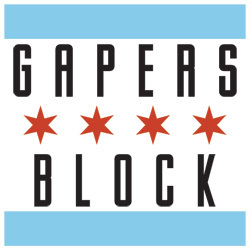 Start off your Labor Day weekend right with your friends at Gapers Block and CHIRP radio at the Metro as we celebrate the end of summer with some of our favorite Chicago bands! 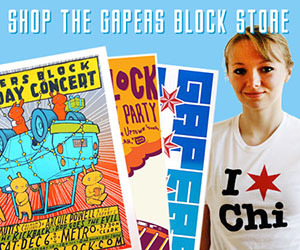 And best of all, it's FREE with a flyer in your hand. 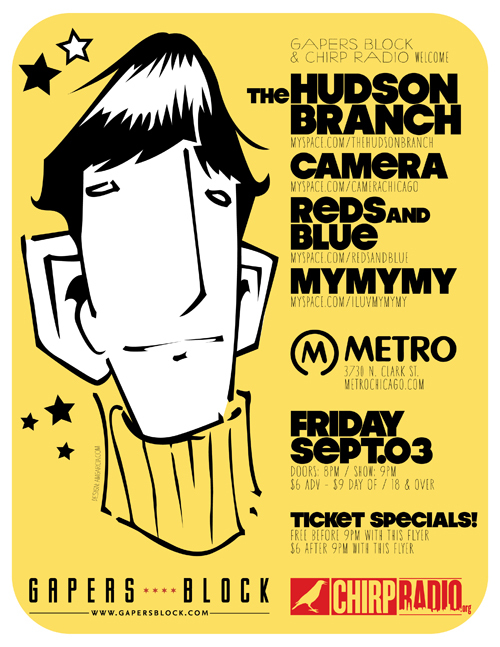 Headlining is The Hudson Branch, bringing their rich tones and soothing heartache to the stage, and the evening will include the deliciously dark rock of Camera, the up-and-coming talent and blissful harmonies of psych-poppers Reds and Blue, and the rollicking dance pop of My My My. The Hudson Branch - Clouds (Live At WIDR 89.1 Kalamazoo) from Corey Bienert on Vimeo. Tickets are $6 adv/ $9 day of show (or FREE with this special flyer [designed by GB staffer Antonio Garcia] before 9pm, $6 if you bring the flyer after 9pm) 18 +. Doors open at 8pm with My My My starting the night off at 9pm. The Metro is located at 3730 N. Clark St. 773-549-4140. RSVP on Facebook if you like!